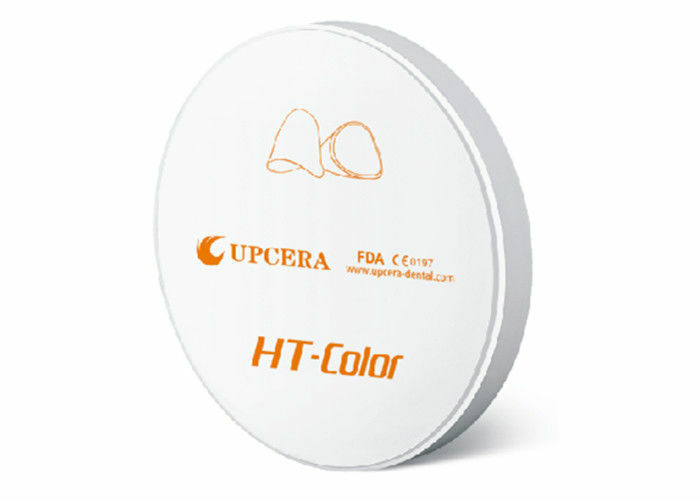 Upcera company now have the full range of dental zirconia blanks. Such as High translucent(Short for HT) zirconia for making coping and framework； Super translucent(Short for ST) zirconia for making full contour crown and bridge；Top translucent( short for TT) zirconia for making anterior crown and bridge. We also have Pre-shaded and Multi-layered zirconia for ST and TT zirconia. Upcera has all range zirconia types which can be compatible with all kind of milling machines, such as Open CAD/CAM, Amann Girrbach, Zirkonzahn, Sirona etc. All of our zirconia blanks have achieved CE certificate. 5 : Upcera own developed coloring liquids to match Upcera white zirconia blanks to achieve customized result.